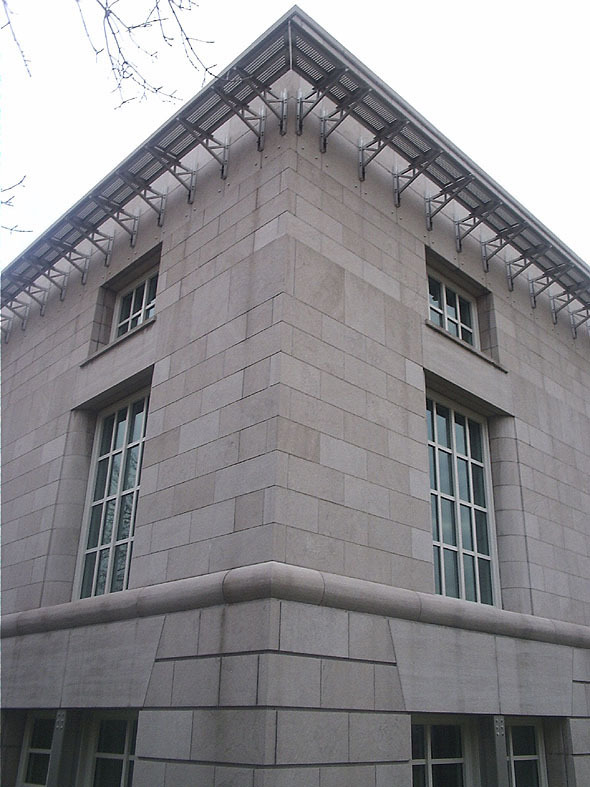 The Canadian Centre for Architecture (CCA) is housed in a building made up of the historical Shaughnessy mansion, and an modern low lying construction which presents the museum entrance. 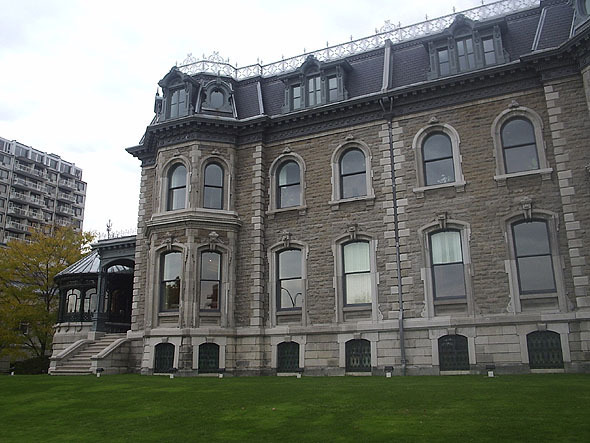 Most of the rooms of the Shaughnessy mansion have been restored to their original 1874 state. It has vast collections of books and artifacts touching on all aspects of the built environment and certain aspects of industrial design. 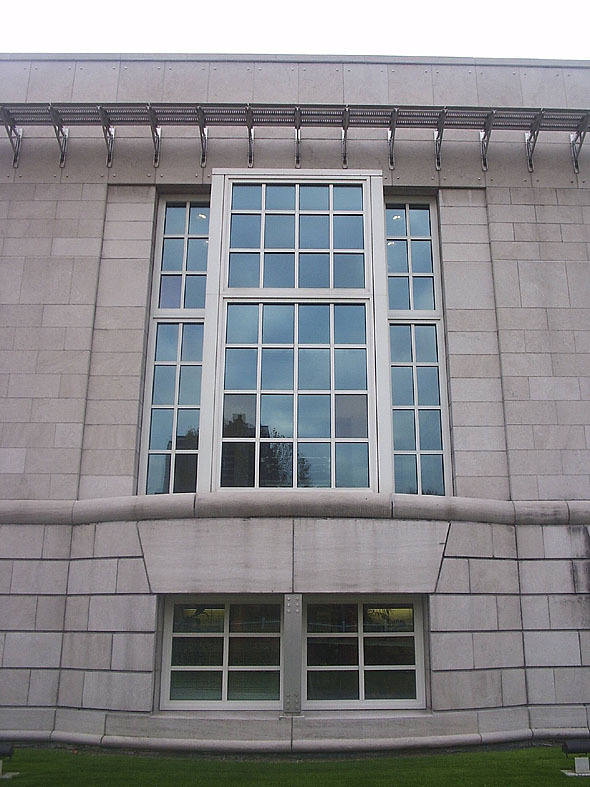 Within the general collections it has special collections such as those pertaining to architectural games for children, universal exhibitions and their architecture, and famous Canadian architects such as Ernest Cormier. 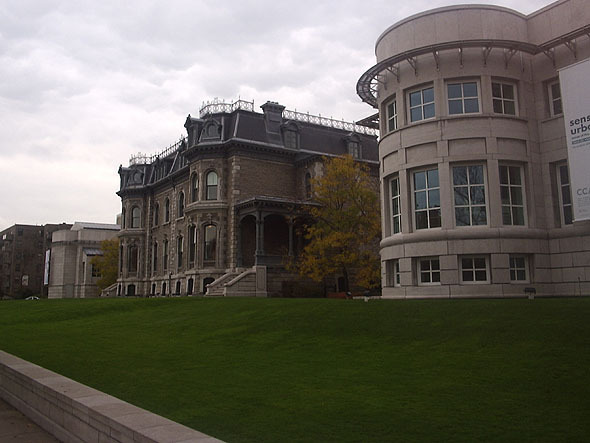 The sculpture garden which lies across René Lévesque Boulevard offers a full scale ghost-like lower shell of the bottom part of the Shaughnessy mansion, and assorted modernistic sculptures or constructs which are developed around the theme of architecture.